I had a great time mountain biking this past weekend. I really enjoy engaging in a physical activity that requires one hundred percent of your mental attention. Riding the more challenging trails is just that. In some places, the path is just inches wide. Between rocks and roots, you’re looking out for the smallest obstacle that could throw you off balance. Dodging trees on one trail is reminiscent of the speeder chase scene on Endor in Return of the Jedi. One of the things that help you navigate through twist and turns, maintain control, and pedal more efficiently is a clipless pedal/shoe system. 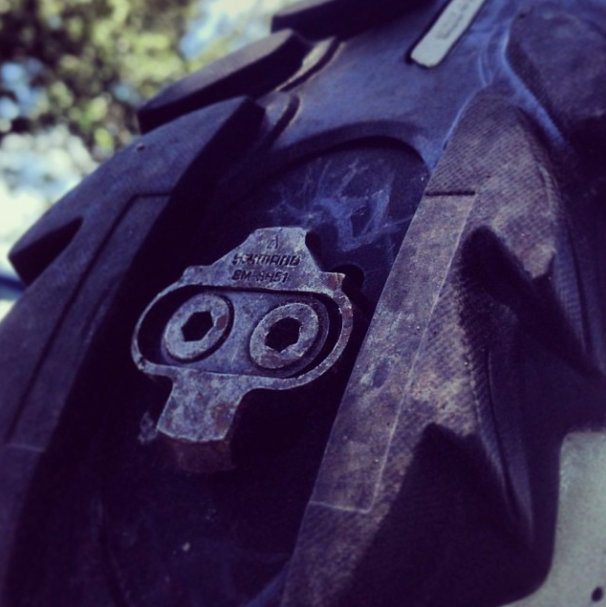 These clipless systems lock your feet to the pedals much like ski boots lock into skis. In addition to the physical advantages, there’s a mental advantage as well. You ride differently when you’re “locked in.” There is no easy bailing. You power through more. There is unity with you and the bike—if it goes down, you will most likely go down with it. There’s a life lesson there. Choose carefully with what or whom you are “locked into” in life!